If Buckinghamshire is anything to go by, England has taken the concept of suburban farm attractions to the next level. Odds Farm Park, just a short drive from Wooburn Common, is an exceptional day out for kids, any day of the week, in any weather. I've been to Odds Farm with Bucks' locals on three occasions and I can see why it is an ever-popular play date, birthday party and school holiday destination for mums with kids under ten. Parking is free and generously available, the attraction is beautifully maintained and the catering has a vast range of healthy and traditional options, including a barista for sleep-deprived parents. Best of all though, it is made for the changeable English weather and despite the outdoor premise of a farm, the kids can still enjoy it in the rain. Just don't forget your Mac and wellies. 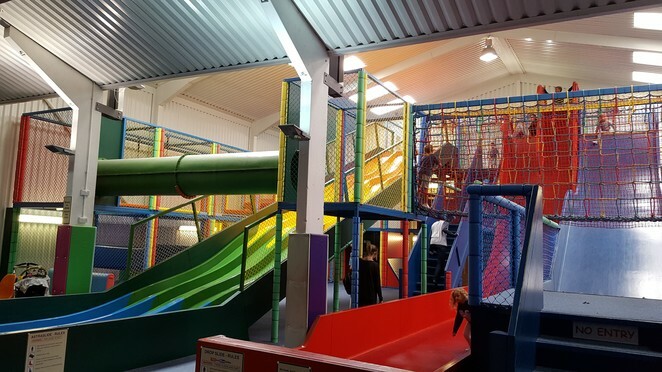 The first stop on most people's visit to Odds Farm, especially in poor weather, is the Giant Indoor Playbarn, which includes extensive seating and cafe facilities. I've been to many softplay centres in my time and none compare to this. There is a range of age-appropriate play equipment, with options that genuinely challenge and keep the kids amused for hours. For the more adventurous and older kids, there is a 4-lane Astra slide and 2 hair-raising drop slides. 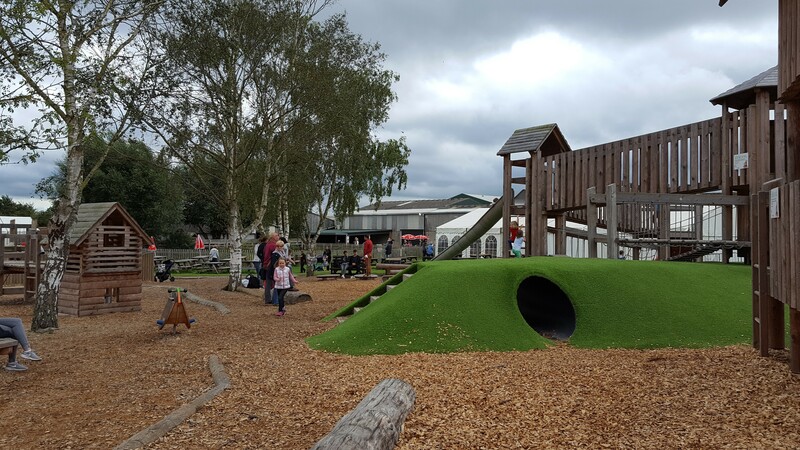 There are also safe play areas for toddlers, making for an easy outing for mums with kids of varying ages. 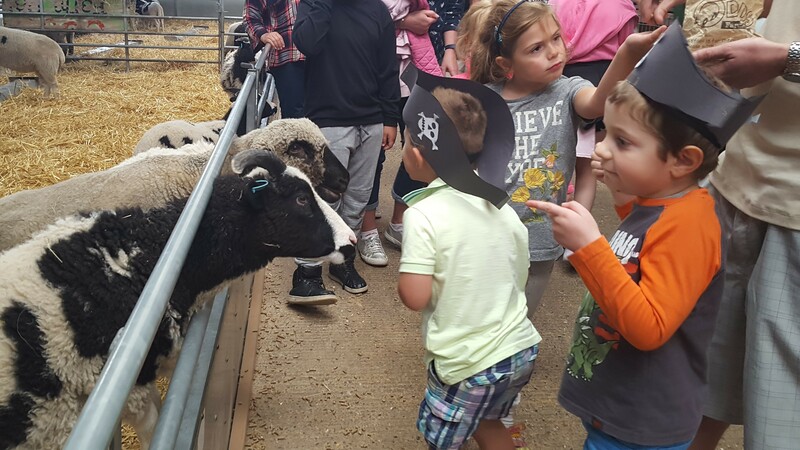 Odds Farm is busy in school holidays but there is ample room for all and the bonus of visiting at peak time, is the programme of themed shows and activities. We've been there for circus shows and pirate shows and had a blast. 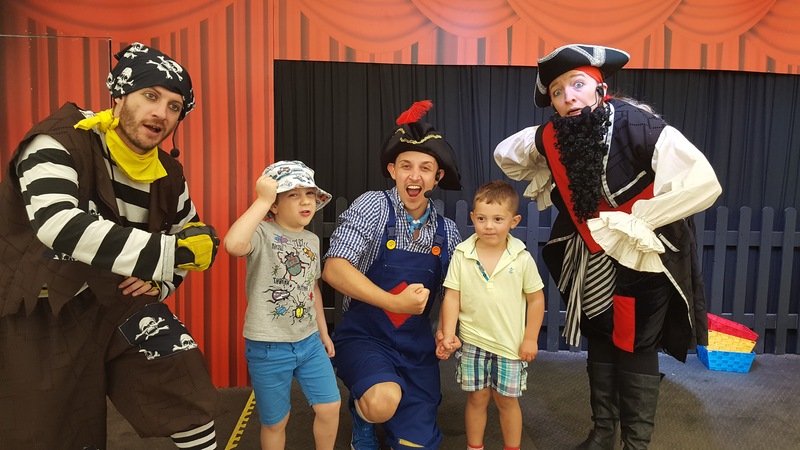 The summer 2017 holidays hosted a regular pirate show and pirate craft activity centre, which doubled as excellent wet weather facilities when the heavens opened. And if you're a local, check out Odds Farm's upcoming Halloween Festival which looks brilliant. My son's a city kid, so the chance for him to feed the farm animals in the indoor 'Contact Barn' was hard to pass up. A bag of feed is available for one pound (on top of the price of admission) and is well worth it for the fun it provides. There is an opportunity to hand and bottle feed goats, milk cows and stroke rabbits, with a strict emphasis on after-feeding hygiene, which is a big plus for parents. There are also free-roaming outdoor paddocks where farm animals of all kinds enjoy munching on the lush green grass. 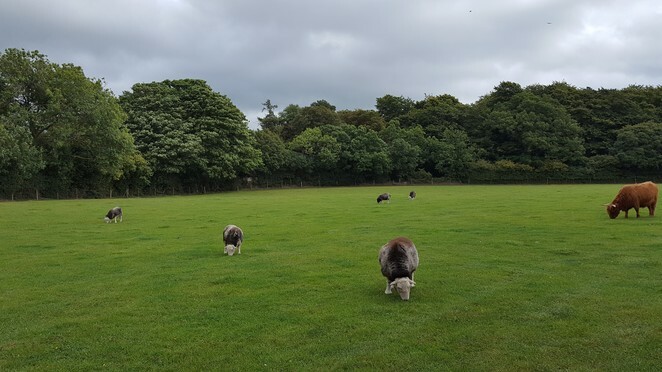 And did you know, Odds Farm is officially recognised as an 'Approved Farm Park ' by the Rare Breed Survival Trust? While not a theme park, Odds Farm has its share of active, outdoor options to keep energised kids and their parents amused. There is an Adventure Maze, Pedal Tractors for the under 5s and Go Karts which are awesome fun, especially when the track is a bit potholed and muddy. And for the true farm experience, Tractor Rides are offered on the hour, accommodating large numbers. This is by far the best way to cover the site's acres of land and view farm animals grazing in the fields. I thought we had some pretty good playground facilities in Australia but we were blown away by the sprawling and varied play equipment on offer. The Adventure Play Area looks like something out of the Teletubbies and the challenging equipment is beautifully maintained but still best to keep an eye on the kids, as the slides and ropes are high. Under 5s are also well-catered for with a safe, log play area and the dedicated Sand and Water Play area is a pre-schoolers paradise. What more could you ask for on a day out with the kids? The fresh air is exhilarating and there isn't an iPad or a TV screen in sight. This is old fashioned play with all-inclusive modern facilities. Even the most hyperactive kid will be satisfied at day's end and ready for an early night and I would say that is mission accomplished!